The Government of Manitoba announced on Thursday that in an effort to deliver better health care, it is investing over $5.3 million to boost the number of cataract surgeries, and hip and knee replacements in the province in 2019. 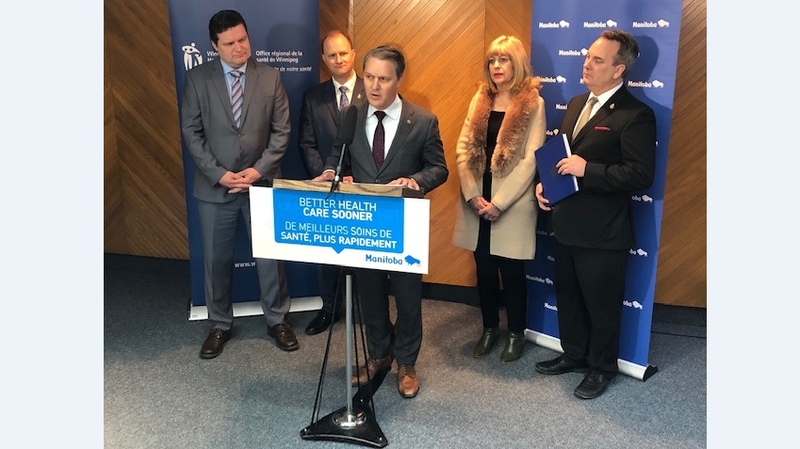 “Manitoba patients deserve better health care sooner and that includes reducing the time they wait for priority procedures,” said Minister of Health, Seniors and Active Living Cameron Friesen. According to a provincial news release, in 2017 and 2018 over 4,100 hip and knee replacements and 12,900 cataract surgeries were performed in the province. The new funds will see at least 1,000 additional hip and knee replacements, and 2,000 additional cataract surgeries in 2019. “Our orthopedic and cataract surgery teams in Winnipeg have done an excellent job in increasing the number of procedures possible with existing resources, while ensuring safe and quality care,” said president and CEO of the Winnipeg Regional Health Authority Réal Cloutier. Misericordia will take on the added cataract surgeries, while the extra hip and knee surgeries will take place at Concordia Hospital, Grace Hospital, Health Sciences Centre Winnipeg and the Boundary Trails Health Centre. The Wait Times Reduction Task Force has previously suggested increasing the number of these surgeries in Manitoba in order to reduce wait times.